The Coalition of Homeless and Housing Organizations was conceived in 1990 by non-profit service providers who served the homeless and low income citizens of the District of Columbia. These providers had a common goal to advocate for the unmet needs of homeless and vulnerable populations. The initial meetings were held at the former office of the InterFaith Conference of Metropolitan Washington. The convener at that time was the Rev. Clark Lobenstine. For a number of years, meetings were held at the Downtown BID and then at the Federal City Shelter. 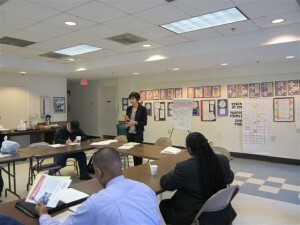 Since 2007, meetings have been held at N Street Village. COHHO’s monthly meetings are forums for experts’ presentations on cutting-edge issues, discussion of proposed solutions, information exchange, and Workgroup decision-making. As a body, COHHO writes position papers and letters to policy-makers. COHHO members testify at the City Council and meet with decision-makers.